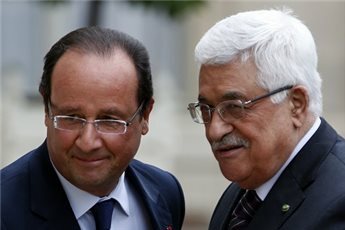 The French president announced he will visit Palestine and Israel on Nov. 18-19. 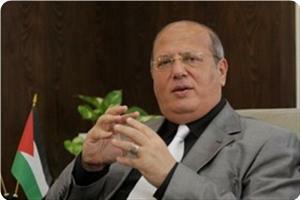 His announcement came after a meeting with President Mahmoud Abbas who was visiting Paris on Thursday. Political bureau member of Hamas Dr. Mousa Abu Marzouk has lashed out at statement for a Palestinian consular describing Gaza as a base for “terrorism”. Abu Marzouk condemned on his Facebook page on Thursday those who try and picture Gaza as a base for terrorism or a source of extremism. He said that Gaza was rather a base for resistance and a thorn in the side of occupation. He said that Gaza is the project for liberation and return. The Hamas leader said the will of the people that chose Hamas to win in the general elections would never be defeated by lies, provocation, and cheap opportunism. Abu Marzouk asked Palestinian consular in Alexandria Jamal Al-Jammal to rethink what he said and to determine on which side he was, adding that if Hamas was a “terrorist movement” why then go for reconciliation with it and why consider it part of the Palestinian people. “The problem is that his superiors did not discipline him,” Abu Marzouk said. 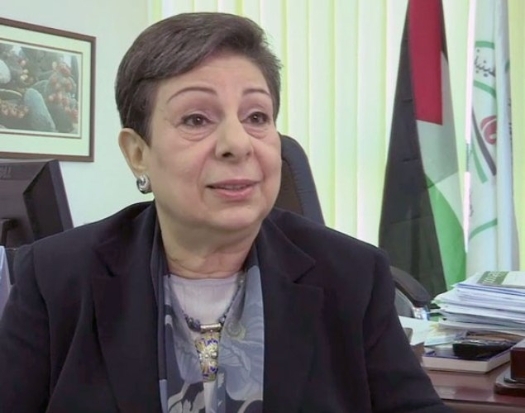 Jammal had said that Hamas was a “terrorist movement’ that backed “forces of darkness” and had turned Gaza into a “quagmire of terrorism and extremism”. A member of Fatah's Central Committee has again suggested that the movement needs to create the post of vice-president to protect the Palestinian national interest. Major-General Tawfiq Al-Tirawi said that this is important due to the continued disruption of the work of the Palestine Legislative Council and the need to cover for President Mahmoud Abbas should he be indisposed or resign from office. Speaking to local media, General Al-Tirawi stressed that he has been requesting such an appointment for more than a year at meetings of the Central Committee and the Revolutionary Council. "The advanced age of the president, at 75, makes it important for there to be a vice-president in post," he said. 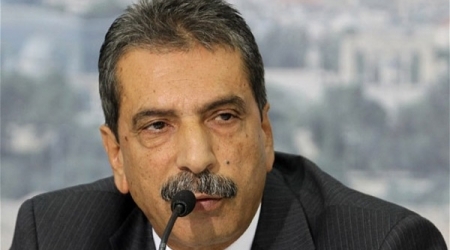 Asked about the possibility of ex-Fatah official Mohammad Dahlan being appointed to the post as a gesture of reconciliation by President Abbas, Al-Tirawi replied, "This hasn't been tabled by anyone; it is just a rumour." He pointed out that the president and prime minister have their own roles so the absence of one or the other does not create a leadership vacuum. Abbas is out of Palestine on an international tour at the moment. He met US Secretary of State John Kerry in London on Sunday evening and with Britain's Foreign Secretary William Hague on Monday. The PA officials travelling with Abbas are seeking up to $500 million in aid from Europe to cover the authority's budget deficit. In a total abundance of words, three world musicians read miscellaneous chapters of what seemed to be their life and personal experience at start, but if looked at thoroughly turns out to be the musical notes of a shared experience and collective memory for millions of Palestinians across the world. Duo Sabil of Ahmad Khatib (oud) and Youssef Hbeisch (drums and percussion), along with Hubert Dupont (contrabass), who came from France exclusively to share the night with his two friends and audience, performed at the Mahmoud Darwish Memorial on Wednesday night a tear-jerking and true Palestinian performance. As the scribble of what is intended to read the name of the great Palestinian late poet and author Mahmoud Darwish stood clear behind the three musicians, the spirit of Darwish could be sensed in an atmosphere that celebrated several concepts of his such as nostalgia, alienation, joy, unity, destruction and solidarity. The nine spotlights were more than enough to illuminate the darkness of the stage and the room in which 300 people sat still, while the music was more than enough to illuminate their hearts. Watching with defining silence, the audience’s expression changed as the music changed. The show didn’t take into account the vulnerable emotions of the audience, but took them in a roller coaster of sensations. The piece Sada (Echo), the highlight of the night, started with what looked like a sound of a tormented whale that swam in a sea troubled with an unrelenting thunder storm. Khatib said that this piece was written when he found himself stuck in his apartment with his partner Hbeisch during the Israeli army invasion of Ramallah in April 2002. Peering from his window which overlooked the then under Israeli mercy Ramallah, he put together what could at least be described as a tragic piece. Khatib and Hbeisch could not hide their emotions as they played with obvious grief the piece that reminded them of a gloomy part of their lives. 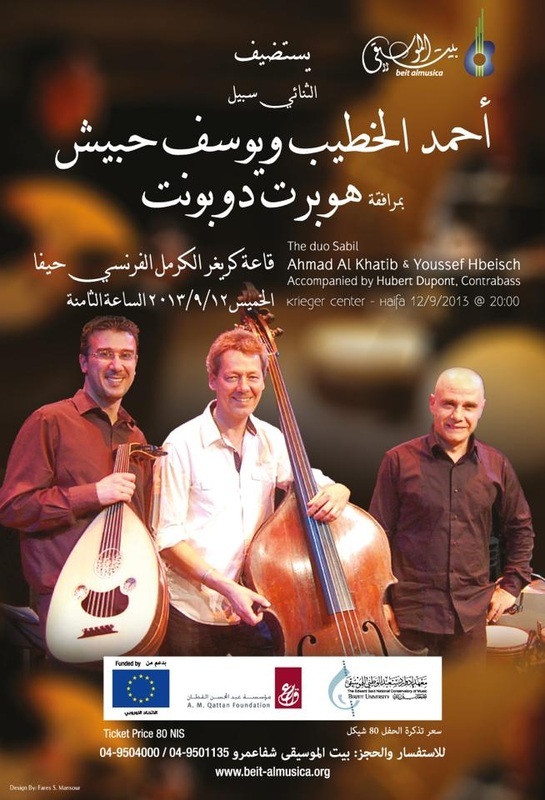 Khatib, through the musical dialogue with Hbeisch and Dupont, shared his past and story. He was certain that the message will be fully delivered. “The music is a self-explanatory language. It can’t be explained with another one. The audience comes from an environment that enables them to understand what the music means,” said Khatib. The trio seemed to be flying in their own world; Khatib’s facial expressions changed with the movement of his fingers, Hbeisch’s frequent smiles and grimaces resembled the musical notes and Dupont’s weariness yet fascination of the foreign notes could be evident to the listener. Dupont, being a French musician, explained that he realized that he doesn’t have to play the same intonation all the time as the oddity of the music will also charm the audience. Khatib insisted to play in the Galilee Hall at the Mahmoud Darwish Memorial as he thinks the small space brings him closer to the audience, enabling him to feel their emotions and them to feel his music in return. He played a number of musical pieces starting with Marakib (boats) that tells the tale of the his journey in life, then Kalimat Etab (Reproach) where you could sense that he is regretting an unfortunate chapter of his life, probably his obligatory departure from his homeland due to Israeli compulsory restrictions. He then played Flotilla, a piece compressed of notes floating between waves of music like the ship that aimed to end the illegal Israeli siege on the Gaza Strip. The trio then changed the mode of their music by playing ‘Ors (Wedding) and Fantasia Shahinaz (Shahinaz Fantasy), both pieces with a rapid rhythm celebrating life. The evening ended with a piece titled Min al-Quds Ela Baghdad (From Jerusalem to Baghdad) expressing the feelings of the solidarity with the Arab wound that has been stretching for decades now. Duo Sabil event could be least described as captivating. The audience cheered, applauded and praised the exceptional performance, however once everyone stepped outside the hall each had to face his own memories and past, which resurfaced at the hands of a oud, tambour and a contrabass. Independent MP Jamal Al-Khudari has called for accelerating national reconciliation in light of the escalating storming and Judaizing of the Aqsa mosque and the Gaza blockade. Khudari called for serious efforts to implement national reconciliation away from the negative atmosphere that prevailed recently. The Palestinian people are called upon now more than ever before to rise above wounds and internal division and tend to the crucial problems such as attempts to force emigrate Jerusalemites and Negev inhabitants, the continued siege on Gaza, the tight restrictions on the West Bank, and the denial of basic rights, he said. The MP pointed out that the storming of the Aqsa mosque was gradually increasing with official backing as evident in the presence of ministers in some of those incidents. Khudari also pointed to the relentless settlement activity that is feverishly increasing despite demands to the contrary, which means that Israel was disregarding all parties. The Palestinian Reconciliation Committee praised PM Haniyeh's call for factional partnership in municipal elections student unions and trade unions. 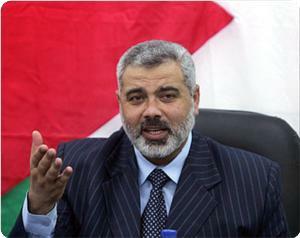 The committee considered Haniyeh's step as encouraging and positive especially after freezing the reconciliation efforts. It is a new opportunity to re-arrange the internal relations based on national consensus and national partnership between all the Palestinian forces, it added. The Reconciliation Committee called to discuss Haniyeh's initiative in a national conference that combines all Palestinian factions and forces as part of the national consensus. The committee stressed that its project is mainly based on national consensus and economic, social and political partnership and it rejects all forms of exclusion and marginalization. The committee condemned the internal and external analyses to Haniyeh's initiative that linked it with the regional developments. It stressed the need to activate the political consciousness and national responsibility in order to put an end to the internal division that distorted the Palestinian cause and caused a decline in the Arab and Islamic support to the cause. 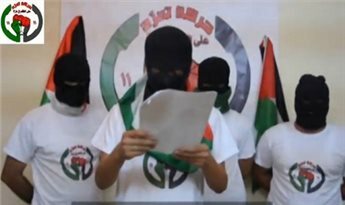 The campaign to remove Hamas from government in Gaza has started: a "rebellion" movement has been announced; journalists have been invited to meet its "secret" leader; and Fatah's Azzam Al-Ahmad has said that the Palestinian Authority in Ramallah is still looking at how to respond to Hamas's call for factions to participate in governing Gaza. The Islamic Resistance Movement is already targeted by PA security agencies in the occupied West Bank. The next step is to stop the flow of funds from the PA for the government in Gaza to the point that it will be impossible for it to fulfil its functions. The counter-revolutions in the Arab Spring countries have been boosted by the coup in Egypt; are working on the Tunisian government; and even have designs on Libya. With Yemen already under counter-revolutionary control, the Hamas government in Gaza is the logical next step. Turkey and the government of Recep Tayyip Erdogan is also on the counter-revolutionaries' radar; they hope to exploit ethnic divisions in the country. Hamas appears to have sensed the danger and has offered other factions the opportunity to share in the government of the besieged Gaza Strip. That offer is undoubtedly linked to the counter-revolution's intent but, in any case, it is a smart move to make. 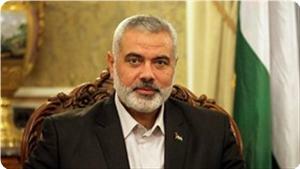 The PA and Fatah leadership has responded viciously to Hamas's offer by rejecting it and asking others to do likewise. Given that some other factions are funded by the PA it is difficult for them to refuse its call. Fatah's claim that the offer encourages the division between Gaza and the West Bank is merely an excuse to reject it. It is a dream of the "moderates" negotiating with Israel to annex the Gaza Strip to the West Bank statelet likely to result from the talks, regardless of whether its borders are "temporary" or permanent. 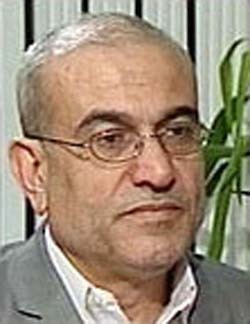 Al-Ahmad and his colleagues are shedding crocodile tears about the lack of reconciliation between Fatah and Hamas. They want to destroy the Islamic movement through an election in which they believe they can win a majority (which, with most Islamist politicians in the West Bank in PA or Israeli detention, will not be too difficult). A Fatah victory is the desire of Israel, the US and now some Arab states as well. The Israelis need to have the Gaza Strip and West Bank as one entity so that it is part of the agreement that is being conjured up with the Palestinian Authority in Ramallah. Israel has been unable to defeat Hamas in two massive military assaults against the people of Gaza so it would suit the government of Benjamin Netanyahu very well if the demise of the Islamic movement can come about "internally", as it were, through other Palestinian factions. 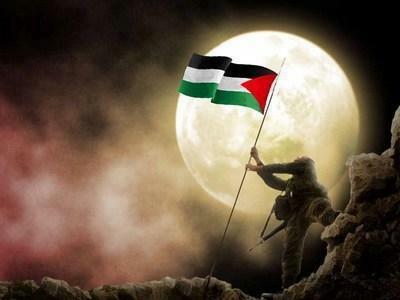 It is important to remember that the Palestinians in the Gaza Strip have not abandoned resistance to the occupation, and have the means to defend themselves against Israeli aggression. It is for this reason that the Israelis and their supporters are pushing Mahmoud Abbas to agree that a future Palestinian state will be demilitarised. By all accounts, he has agreed to this. Those who have created the Tamarod-style rebellion movement in Gaza ignore this dimension. They are not concerned about resistance, even popular resistance; all they care about is settling scores and factional dominance. In all honesty, it is doubtful if they even care about the Palestinian cause at all. They also ignore how ex-Fatah official Mohammed Dahlan tried to disarm the factions when the Israelis abandoned their settlements in Gaza in 2005. The role of Egypt's coup organisers in this conspiracy against Hamas and Gaza will be vital, lending power, cover and support, and even sanctuary, to those who would overthrow the most legitimate government in Palestine. They hope to put pressure on Hamas and the Palestinians by destroying the tunnels and closing the border but are they ready to face Arab public anger at such moves? In response to the "Gaza Tamarod" the authorities must use wisdom and restraint; violence should be avoided. Public protests should be matched by protests in support of the government; again, violence should be avoided. Since 2007 I have been proposing a comprehensive solution for these problems; it has gained a new importance in the light of the current negotiations. If a state is created with "temporary" borders, and it is recognised by the UN, the conflict will be reduced to one about borders between two UN-member states; the issues of Jerusalem, refugees and sovereignty over important parts of the West Bank will be wiped out at a stroke. The proposal requires a united front ready to create a consensus administration for the West Bank and Gaza Strip; a joint leadership to be elected by all Palestinians at home and in exile, not the Palestinian Authority, to head another intifada to end the occupation of all land taken by Israel since 1967; and an unconditional return of the refugees as a prelude to freeing all of historic Palestine. Because the PA leadership and Fatah will refuse such a proposal, Gaza should be agreed upon as a free zone with a consensus administration governing affairs; it should become a base for resistance movements of all kinds. For now, there should be a move by Hamas to criminalise the Gaza Tamarod movement along with efforts to extend the representation of the people in government in the territory. Gaza is still in a state of war and it is not permitted to allow it to become ungovernable. The right to resist the Israeli occupation cannot be abandoned to please those driven by factional considerations and funded by Arab states who do not want anything good for Hamas or the Palestinians and their cause. Such states want only to end all rebellion in the region and maintain the status quo in which their own undemocratic and dictatorial regimes can continue to rule unopposed. The two day international conference on Oslo Accord by The Palestinian Return Centre(PRC) and The Exeter Institute of Arab and Islamic Studies (EIAIS) has ended on Sunday. The conference marking the 20th anniversary of the Oslo Accords titled, The Impact and Future of Oslo, gathered a panel of international experts from, Australia, Norway, Palestine, Europe, the UK and others. A full capacity audience was joined by hundreds through the live stream in a comprehensive review and analysis of the Oslo Accords. An opening session that included representatives from both organisers and a number of current and former MPs, has started on Saturday. Mr Muhamed Hamed from the PRC board of trustees highlighted that the PRCs very existence lies in the atmosphere of fear and anxiety created by the Oslo process. Professor Illan Pappe, representing Exeter University, opined that there needs to be candid discussion on the true intent of Oslo, which was a mechanism and a new strategy in maintaining the occupation. The three main sessions in day one provided a historical context on the road to Oslo. Session Two included Professor Illan Pappe and Dr Daud Abdullah,director of the Middle East Monitor. 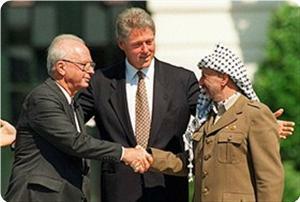 Both provided the major historical milestones from the Israeli and Palestinian perspective respectively in the secret negotiations that marked the Oslo process in 1993. Following on from their historical narrative, Mrs Rawan Damen, from Aljazeera, showed her latest and exclusive documentary titled 'The Price of Oslo'. In it, Mrs Damen unearthed rare footage and carried out personal interviews with notable individuals, intimately linked with Oslo, to highlight the political interest that marked the negotiation. In the final session of the day Professor Rosemary Hollis and Petter Buck of Norway expanded on the broader geopolitical context of Oslo. Professor Hollis examined the European and American thinking in pushing through the negotiation. Petter Buck, an expert on conflict resolution, examined some of the reasons that drove the PLO into the negotiation and the splits caused within the Palestinian ranks. On the second day of the two day international conference, the participants have discussed Oslo Accords impact on refugees, Jerusalem, and prisoners' issues in light the Palestinian political crisis. PRC Director General, Majed Al Zeer, stated that the conference has brought together a host of international experts, academics, policy makers and MPs, to discuss the impact and future of the Oslo Accords. 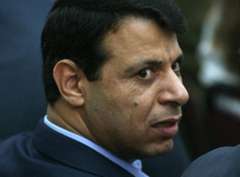 Dahlan describes Hamas rule as a "crisis in Gaza"
Former Fatah official Mohammed Dahlan has described the situation with Hamas in Gaza as a "crisis" and has pledged to work to "solve the problem". An elected member of the Palestinian Legislative Council, Dahlan said that he is no longer surprised at the positions taken by a movement that has turned into a press machine which never tires of making accusations. 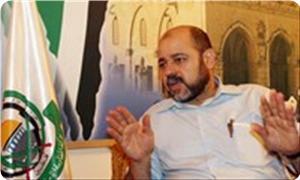 The leaders of Hamas, he claims, have surrendered to the rumour mill and imaginative defamatory broadcasts. Speaking to local media, Dahlan said that the Palestinian public have had patience with Hamas in the past because it used to concentrate on interaction within Palestine. "However, at a critical stage, the movement insists on implicating the Palestinian people and their cause in regional and international issues," he alleged. "It has not learnt from its experience with the Syrians and Iranians and is now importing every crisis in a complex psychological sense of being humble and arrogant as well as clever and stupid at the same time." According to Dahlan, he is working with "others" to get the Palestinians over the crises they face, "specifically in the Gaza Strip" where the local citizens always have "fear, terror, disease and poverty as their companions". This, he claimed, is caused by Hamas "which did not want and, apparently, does not seem to be willing to wake up from its own myth". The Islamic Resistance Movement, he claims, "is not working towards a lifeline but rather is continuing to drown with the people drowning with it." The doors are still open, he added, but Hamas has to be committed to what he called "logic, realism and partnership" with Fatah, which he calls euphemistically "the other Palestinians". He shrugged off attempts by the Hamas parliamentary bloc’s efforts to hold him to account for what it regards as his crimes against the elected government of Palestine (Dahlan led an Israeli-US funded coup attempt against Hamas in 2007). "Such people have lost their minds," he mocked, "and do not want to admit to their own mistakes; they want to blame others." In closing, Dahlan insisted that the Palestinians can and should take strength from others but only for the benefit of the cause in the conflict with Israel. "Those who take strength from others against their own people are those who encourage their supporters to suppress their people for reasons related to non-Palestinian events." 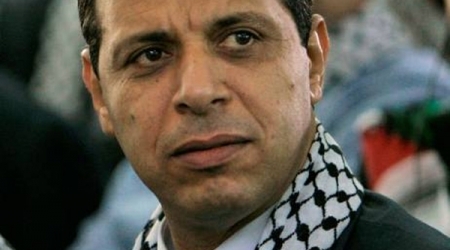 Previous reports suggest that Dahlan, a former leader in the Palestinian Fatah movement who occupied a senior security position with the Palestinian Authority, is the instigator of a number of acts of sabotage against the Egyptian army and police in Sinai, near the Gaza Strip. These, it is claimed, have been coordinated with parties in Egypt in order to blame Hamas and incite distrust and hatred among Egyptians against the Islamic Resistance Movement and the Palestinians in Gaza. Abbas tells West Bank residents deported to Gaza "you will never go home"
West Bank residents expelled to Gaza as part of the deal done with the Israelis after a 39 day-blockade of the Church of the Nativity in 2002 called on Wednesday for Palestinian Authority (PA) President Mahmoud Abbas to clarify his remarks about the impossibility of their return. Abbas told Fatah members in the West Bank earlier this week that he thinks that those expelled from the Church in 2002 "will never return". The deportees called for Abbas to explain his remarks as he "knows everything about their deportation". 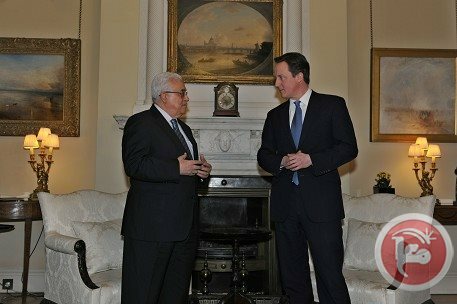 In a meeting with Abbas in Gaza in 2005, when he was prime minister, he apparently told the deportees that the agreement with the Israelis was a big mistake by the PA.
At the time of their deportation, the men were told by the authority that they would have to spend "one or two years" in Gaza. "We have been here for almost 12 years now," they complained. "Abbas told us that he had reached an agreement with Israeli Prime Minister Ehud Olmert and that we would be returned home ‘within hours'." 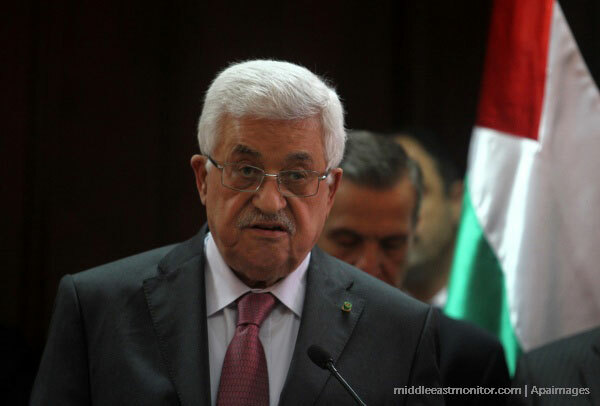 Neither the PA nor Abbas can disown the agreement, they added, as it was aired in the media. They called on Abbas to put pressure on the Israeli Ministry of Civil Affairs to issue visit permits for their families, "who have been applying to visit us in Gaza for 11 years". Palestinian Central Bureau of Statistics (PCBS) and its UN partners (FAO, WFP and UNRWA) organized on Wednesday 4th September 2013, a workshop on the results of Scio-economic and food security survey, that attended by the line ministries and number of donor agencies as well as international organizations. Ms. Ola Awad, president of PCBS had opened the workshop by welcoming the attendances and highlighted the importance of presenting the results of the mentioned survey in the context of the PCBS policy to provide decision makers with the required data and for the sake of the development the used methodologies and to meet the stakeholder's statistical needs. Ms. Awad pointed out that the implementation of this survey came just after the Israeli war on Gaza late 2012; the sample size of the survey was 8359 households in both the West Bank and Gaza Strip to cover a huge number of socio-economic indicators. 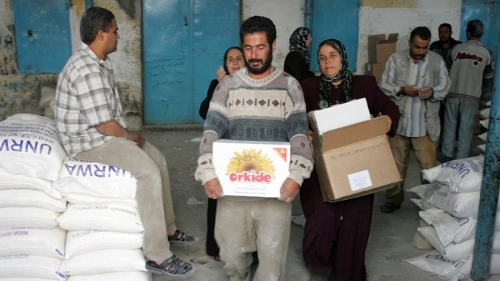 The results showed that a complete reversal of the progressive improvements in food security reported since 2010; about 34% of the households suffer food insecurity compared with 33% and 27% for the years 2010 and 2011 respectively, of which 19% in the West Bank in 2012 compared with 22% and 17% for the years 2010 and 2011 respectively. As for Gaza Strip; it was 57% in 2012 compared with 52% and 44% for the years 2010 and 2011 respectively. The result revealed that the sharp decrease in the number of food secure persons in the West Bank was absorbed almost completely by the vulnerable to food insecurity and marginally food secure groups (34% in 2012 comparing with 45% in 2011). In Gaza Strip, food security levels have collapsed in 2012, with a 13 point decrease in the percentage of food secure households compared to 2011 (a 57 percent decrease in relative terms). As for the refugee status, the data showed that refugee food insecurity in Gaza Strip is consistently lower (56% against 60% for non-refugees), on the other hand; refugee food insecurity in the West Bank is bit higher (23% against 18% for non-refugees). The steep increase in the post-assistance consumption gap reflected the heightened constraints the food insecure face in meeting their minimum needs in 2012 (whether through their own means or by relying on external assistance). In the West Bank, the contribution of the assistants (Governmental, non -governmental, Zakah, relative family and other) declined from 7% in 2011 to 3% in 2012, while it was in Gaza Strip 7% in 2012 compared with 14% in 2011. Presenting the results followed by key notes from the Ministry of Social Affairs, Ministry of Agriculture and Ministry of Planning and Administrative Development, that emphasize the importance of this survey and the data provided through the implementation of such activity as it will contribute in building their 2014-2016 strategic plans, and will be significantly contributed in developing the monitoring and evaluation system at the Ministry of Planning. Moreover, the UN partners (FAO, WFP and UNRWA) commented on the necessity of expanding the utilization of this survey to improve the national plans and to better and efficient use of the available resources as well as the improvement of the social safety net programmes. The workshop closed by Ms. Ola Awad by highlighting the recommendations of the attendances on the need of discussion and dialogue with line ministries and all stakeholders to improve the methodologies of this survey and to go beyond the food security indicators and to be part of the platform on the issue of poverty and consumption survey discussion towards enable PCBS meet the development of the national statistical monitoring system. The head of Egypt’s Tamarrod movement Mahmoud Badr hosted Wednesday evening a delegation representing the same movement in the Gaza Strip, Ma'an has learned. The meeting took place at the Tamarrod offices in Cairo, and was joined by public information officer of Egypt’s Tamarrod movement Muhammad Abdul-Aziz. “The meeting sought to transfer experiences and mechanisms of Egypt’s Tamarrod to the Gaza Strip,” said Badr. Palestinian Prime Minister Ismail Haneyya said that there are attempts to drag the resistance and the Gaza Strip into side battles away from the occupation, but these attempts will fail. He stressed that his government is not leading its people to fight Egypt or antagonize any country, despite the difficulties and pressures that Gaza is going through. Haneyya said on Thursday during a session of the Legislative Council to discuss Israeli violations against Al-Aqsa Mosque that the Palestinian people are subjected to unprecedented campaign of pressures and incitement. "We are only leading our people towards liberating Al-Aqsa and resisting the occupation," Gaza Premier said, stressing that "despite all what we are going through, our people with its resistance is able to thwart all plots against it." Haneyya reiterated his government's rejection of the ongoing negotiations between the Authority and the occupation, pointing out that the negotiations enhance the settlement activity and the Israeli presence on the Palestinian land and harm the Palestinian cause. A group of Palestinians deported from Palestine in 2002 have demanded an explanation from President Abbas after he recently said that they would never return. Abbas said during a recent meeting of Fatah's revolutionary council that although the deal to deport the fighters was "shameful", it is doubtful that they will ever return. "No one knows about the deal of the nativity church and with whom it was done and where the documents are. All we know is that a number of men from the church were deported to Gaza, Spain, Portugal, Ireland and other countries and until now they haven't been back and will not come back," he added. In a statement to Ma'an, deportees expressed outrage at the comments. "President Mahmoud Abbas knows full details about the deal and in 2005 we met with him in Gaza and at that time he was prime minister and told us that this deal was a big mistake made by the PA.
"He told us that he had reached a deal with the Israeli prime minister, who was Ehud Olmert at that time, and said in a few hours we would be back in our homes in Bethlehem." 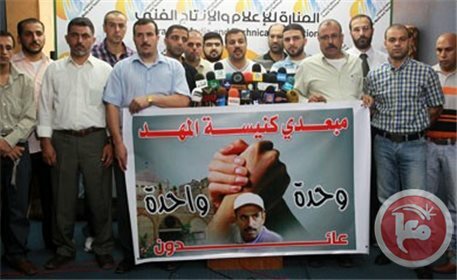 The deportees called on Abbas to clarify his statements and establish a committee to investigate the deportation deal. In April 2002, during a major Israeli incursion into the West Bank Israel named Operation Defensive Shield, Israeli forces besieged the Nativity Church in Bethlehem after dozens of fighters took refuge in the church. The head of Asian football has praised FIFA for bringing Israeli and Palestinian football chiefs together in a drive to end a bitter row over the Jewish state's security measures. The heads of the two football associations shook hands Tuesday in landmark talks in Switzerland brokered by the game's world governing body. It came just weeks after a politically charged dispute over Israeli entry restrictions on players from Arab nations, which led to the delay of a youth tournament hosted by the Palestinian Football Association (PFA). 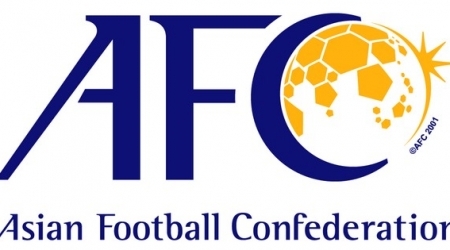 The Palestinian territories come under the umbrella of the Malaysia-headquartered Asian Football Confederation (AFC), whose reach extends into the Arab world. AFC President Shaikh Salman bin Ebrahim Al Khalifa expressed hope that the talks would result in the Palestinians hosting future competitions. "I hope that both the associations will work towards a bilateral solution to this issue and AFC will no longer have to face the issue of movement of players and officials to and from Palestine in the future," he said in a statement released late Tuesday. "I would like to thank FIFA president (Sepp) Blatter for this initiative and would like to see Palestine host more AFC competitions in the future." Blatter described the closed-door meeting between PFA president Jibril Rajub and his Israeli opposite Avi Luzon as "historic". The PFA has said the security restrictions were hampering the movement of Arab players and smothering development of the game in the Palestinian territories. It had earlier called on FIFA to suspend Israel from international football over the issue. Israel says football facilities are sometimes used by Palestinian militants to fire rockets at its cities and warns that sport has been used as a tool to disseminate anti-Israeli propaganda. "The basic problem in the region is the security problem of Israel and the fact that Palestine is recognised as a full member of FIFA but is not yet recognised as a full member of the United Nations," said Blatter. FIFA created a task force in July to address the Israeli-Palestinian dispute. Shaikh Salman, a Bahraini, said he hoped the two football governing bodies could reach an agreement by October. For political reasons, Israel have had a rocky road in international football, having played in Asia until 1974, then Oceania, before joining UEFA in 1991. The Central Elections Commission (CEC) Tuesday signed a Memorandum of Understanding with the Electoral Commission of the Republic of South Africa, a CEC statement said. CEC chairman, Hanna Nasir, signed the MOU at the CEC headquarters at al-Bireh in the presence of Said al-Koni, the minister of local governance, and Mlungisi Makalima, head of the South African representative office in Ramallah. The signing ceremony comes as part of the Joint Commission of Cooperation (JCC) signed between the Palestinian government and South Africa in 1995, said the statement. The Memorandum aims at enhancing cooperation in the fields of electoral laws, planning, management of programs and electoral processes in both countries. It will also seek to carry out initiatives for building the capacities of electoral management teams, the conduct of a joint study on the best electoral practices and the exchange of electoral expertise through study visits and election observation, said the CEC statement. 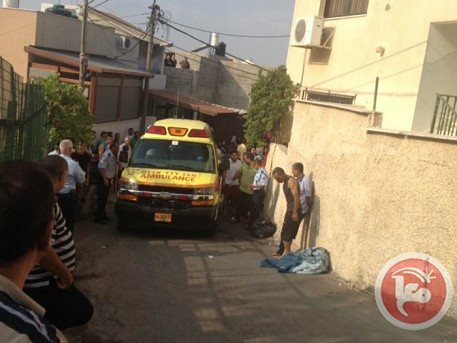 A fifty-year-old man from the Palestinian village of Daburiyya, east of Nazareth, on Sunday shot dead his wife and two of his daughters, before committing suicide, Israeli police said. Israeli police said the unidentified man, who was going through a divorce, arrived at a retirement home where his wife worked at around 7.30 a.m. and shot his wife and their four-year-old daughter. 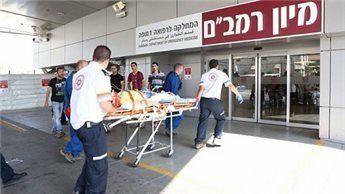 The woman was killed instantly and the girl was critically injured and later died in Rambam Medical Center in Haifa. The man then drove to the town center, where he shot his two other daughters in the upper body. One of the daughters, 16, sustained critical wounds and was later pronounced dead. The other girl, 15, was taken to hospital to be treated for her injuries. The man then drove to the home of the retirement home's maintenance man and shot him dead, before driving to a side-road and committing suicide. Another eight-year-old daughter was also reportedly shot, Ynet said, and is said to be in a serious condition.